I moved to Colorado determined to meet someone who wore plaid and had a beard. 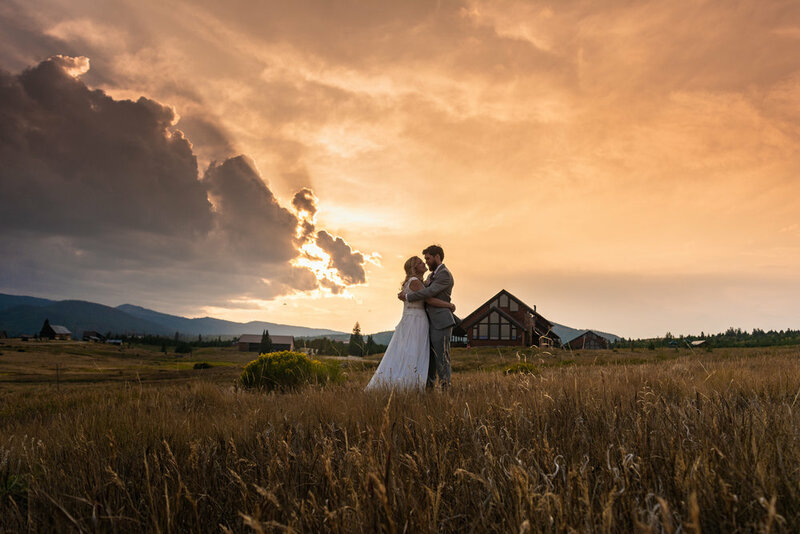 These two love each other more than I can express to you in a blog post about their wedding. Brittany is one of the sweetest humans I have ever met and she immediately welcomed me into her bridal suite with open arms. Patrick is smart, kind and madly in love with her. Together, they are simply perfect for each other. 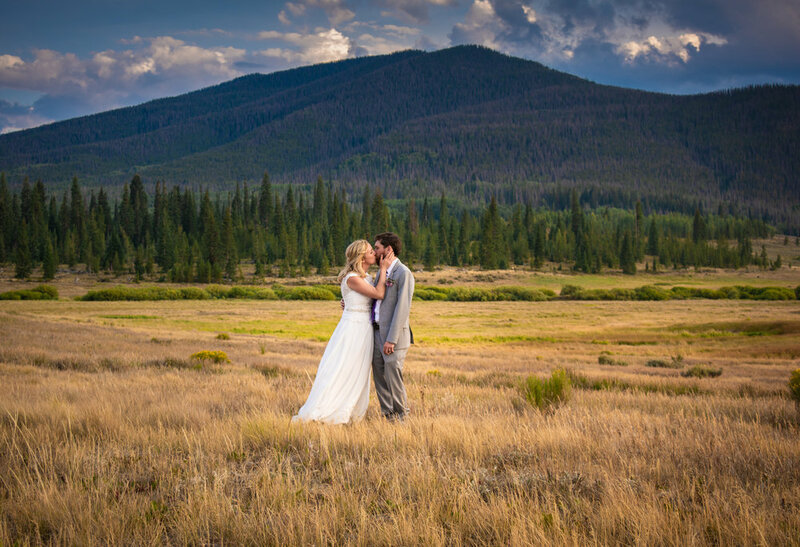 Their wedding took place at the YMCA of the Rockies, Snow Mountain Ranch with their ceremony at Columbine Point. 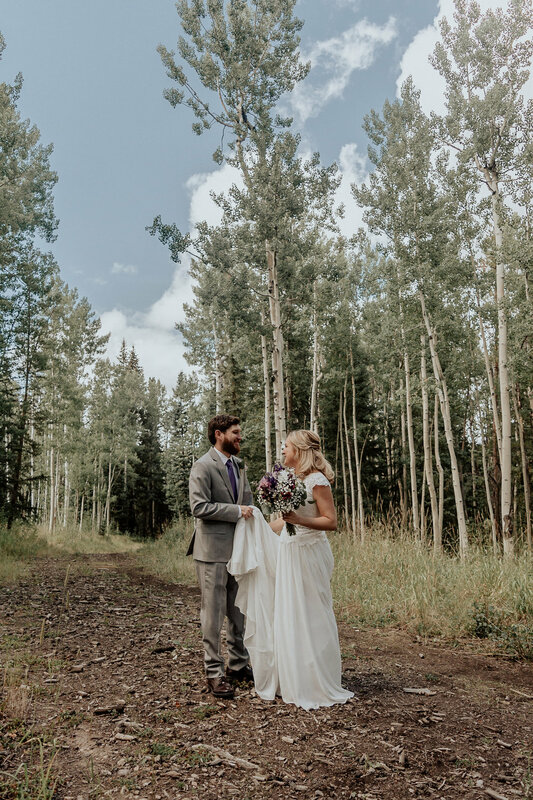 They wanted their first look to be amongst the Aspens across from the ceremony site where there was a nice path and small fence. Their wedding day can be described in one word - FUN! And for the reception, it was only 90’s pop for their guests to dance and excitedly sing along to. Above is one of their couples portraits from behind the small fence. They were just happy to be with each other and couldn’t stop smiling. You could literally feel the love. Brittany’s dress was elegant with such a gorgeous rhinestone detailed belt. The belt of her dress. 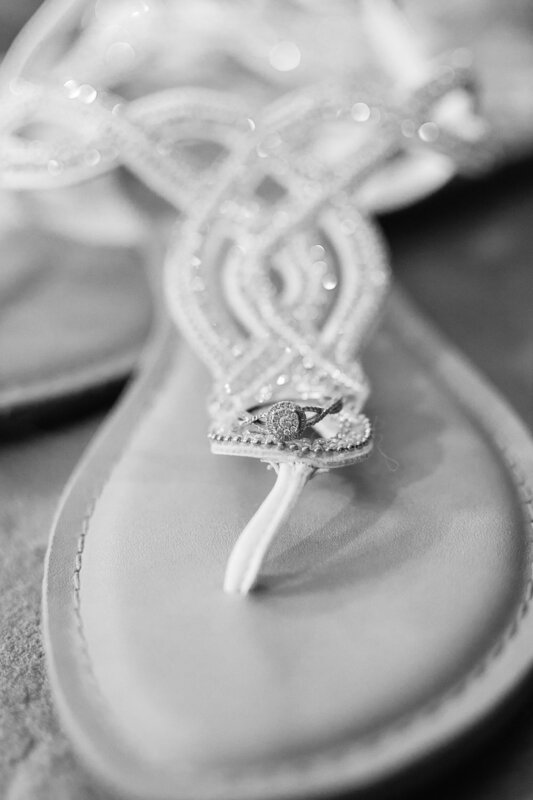 Brittany wore flip-flops so she could be comfortable and dance the night away! I liked the sparkle of her shoes and ring together. She was surrounded by a great group of family and friends while she got dressed and finished her final touches. 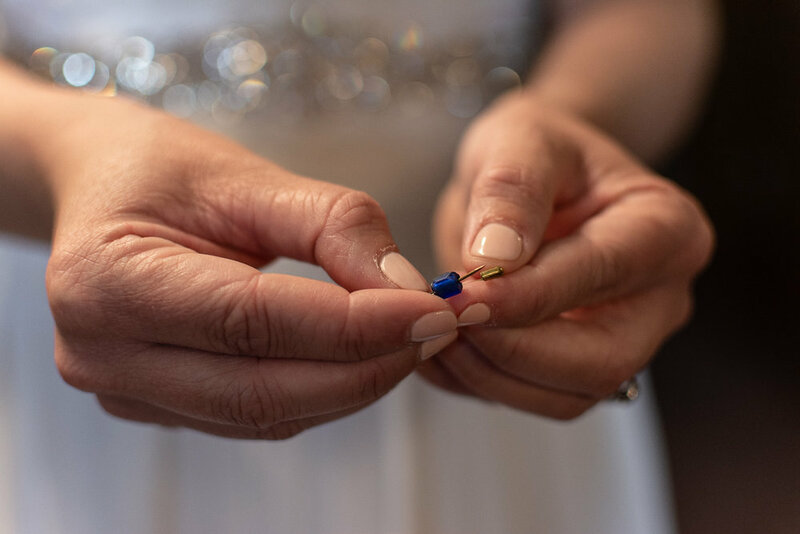 This was a special moment where she received something blue and something old for her dress. 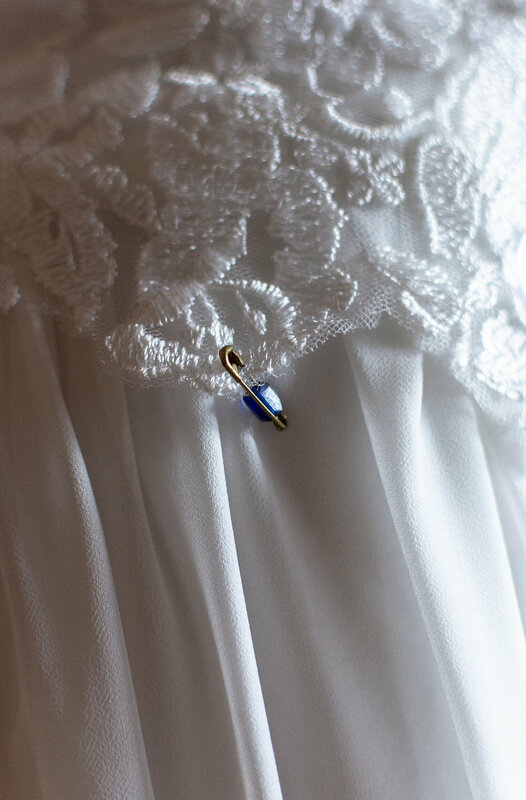 A simple blue bead that was her grandmother’s pinned to the back of her dress. Some of her details for the day photographed in her cabin. 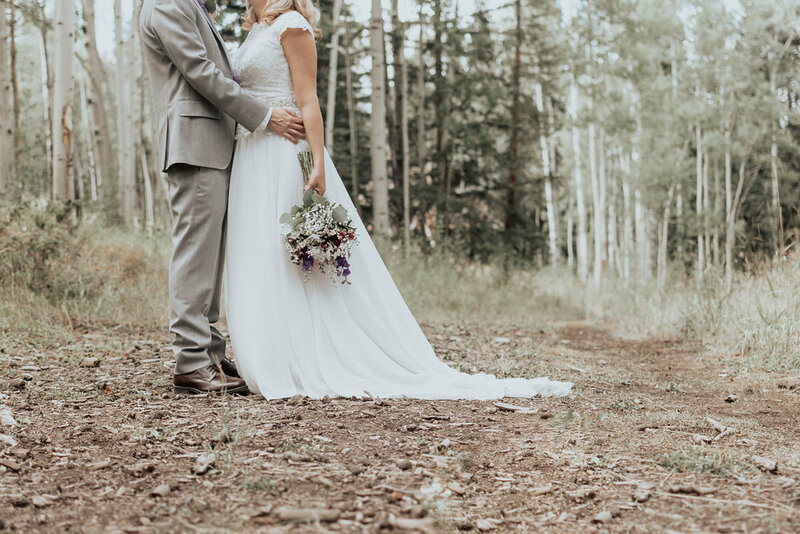 I hadn’t met Patrick, until after his first look with Brittany - and let me tell you - he was overjoyed, excited, and smiling from ear to ear once he saw her. He could not stop telling her how much he loved her and it was where I was first able to see how in love these two are. It rained before their ceremony, but it was okay because I brought some clear umbrellas. I actually love this bridal portrait of Brittany with the umbrella. And she was still smiling rain or shine because she just wanted to marry Patrick - the weather didn’t matter one bit. 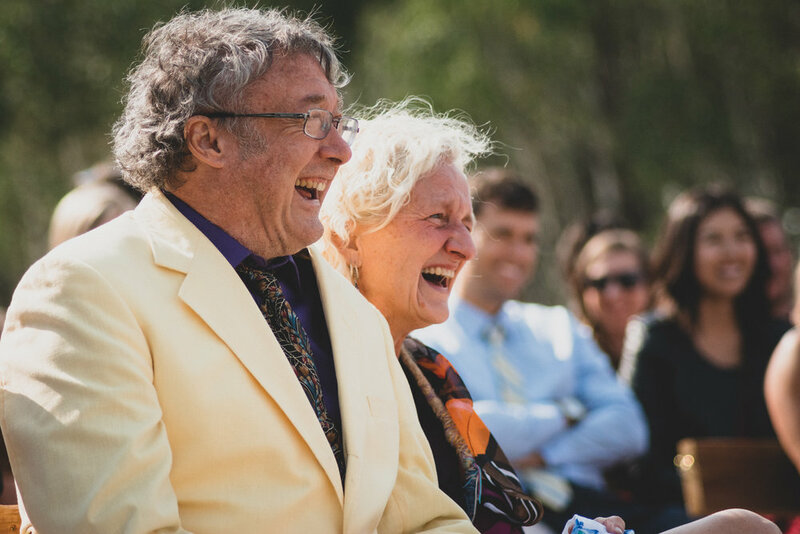 Brittany’s mom and dad laughed and cried throughout the ceremony and the reception. Her father’s speech was great and I learned that she was raised in Alaska (so awesome), but raised by some serious “free range” parents. 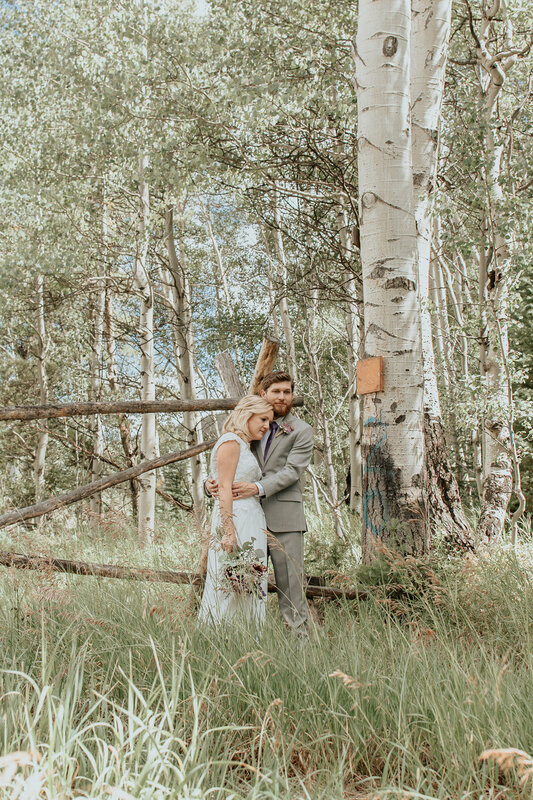 They lived off the grid, hunted and grew their own food, and I think he also mentioned an outhouse, but don’t quote me on that. Patrick’s brother officiated their ceremony at Columbine Point. There is a giant cross at the ceremony site with the mountains as the backdrop. I loved the personal touch of his brother marrying them, which fit with the entire day. They wrote their entire ceremony together and planned the whole thing. So, of course they wrote their own vows to each other. I’m not sure who was more nervously excited to confess everything they loved about the other, Brittany or Patrick. Either way, they looked into one another’s eyes and listened to every word spoken. Patrick was absolutely elated to stand in front of their family and friends, and have Brittany as his wife, partner, and friend. He promised to take her to every Hot Spring he could find while loving her unconditionally. They are made for each other, which I know sounds cliche, but that’s okay. I was only around them for a few hours, and I can’t imagine them not spending the rest of their lives together. Their first dance was to You and I by Ingrid Michaelson and it was so cute to watch Brittany sing all of the words to Patrick. 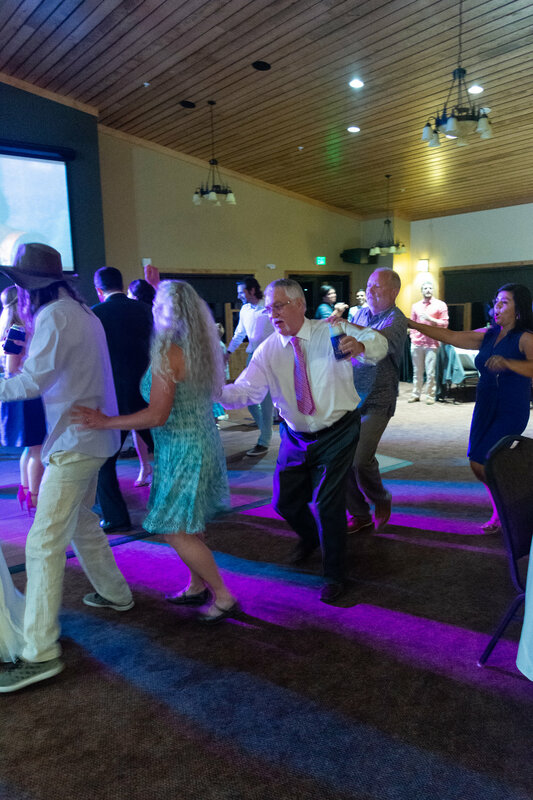 When we got to the reception, the party started! Their friends are such a fun group and danced the night away to N’Sync, SpiceGirls, Naughty by Nature, and the Backstreet Boys! Had some photography competition by their niece. They danced all night long! Not one of their friends or family left the reception early! You know your in love when you can’t fall asleep because reality is better than your dreams.